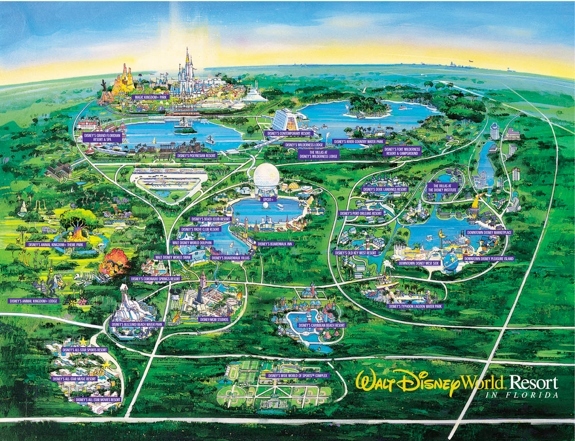 The Disneyland Resort in California has offered free wifi for several years now. Finally its sister resort in Orlando is doing the same. Free wifi is now available in every room at the various hotels that make up the Walt Disney World Resort. The complimentary wifi also extends to most pools, restaurants, lobbies and other common areas. The only guests stuck paying for wifi are those at the Fort Wilderness Resort and Campground. The choice of lodging options within the Walt Disney World Resort can be a bit bewildering. In the deluxe category, Spot Cool Stuff finds the Wilderness Lodge and Animal Kingdom Lodge to be—by a considerable margin—the best value. Technically in-room wireless internet is not free at Omni’s Champion Gate resort property. 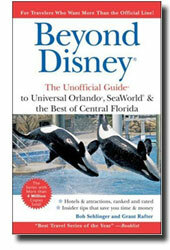 But it is free to guests who are part of Omni’s Select Guest loyalty program, and joining the program is free, so . . . . Unfortunately, the Omni ChampionsGate finds other ways to nickel-and-dime their customers, including a mandatory $16 “resort fee” and $5 for a bottle of water. Still, the Omni gets our vote for Orlando’s best hotel with free wifi. The highlight of the Omni is its swimming areas. Those include a zero entry family pool, a water slide and a 850 foot (260 m) long lazy river. Or, at least “lazy river” is the name usually given to a flowing snake-like pool. 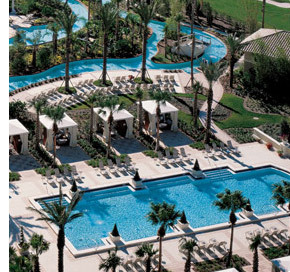 With shooting water cannons, arched waterspouts and a waterfall the Omni’s lazy river isn’t so lazy. 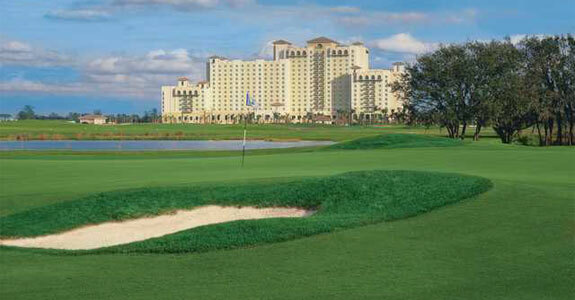 The Omni Orlando Resort at ChampionsGate also has an inexpensive and kid-friendly 9 hole-3 par golf course and complimentary shuttles to all four Walt Disney World Theme Parks. 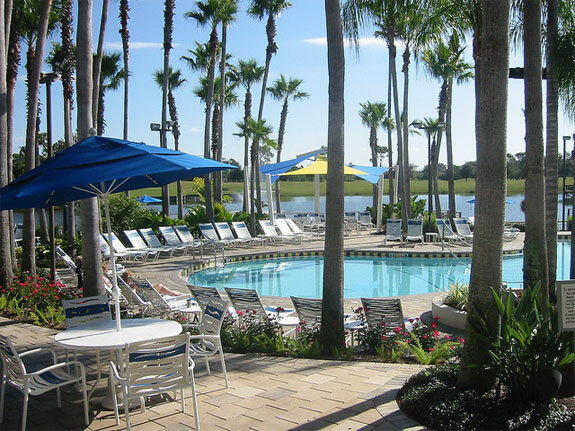 Marriott’s Cypress Harbour is a good value compared to similar Orlando resorts. Not only are room rates reasonable but so are the prices charged by the hotel’s shops, restaurants and bars. 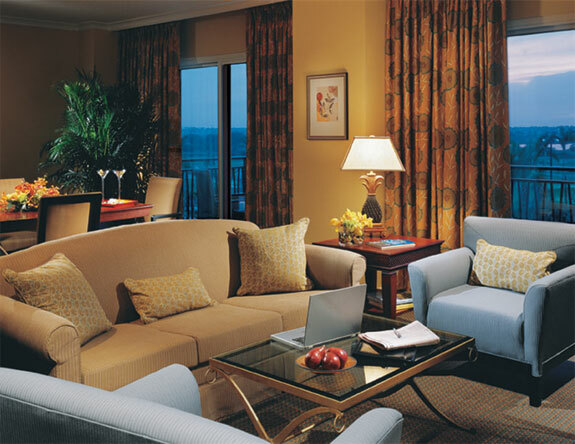 All the rooms have luxurious beds and several have screened balconies or porches. 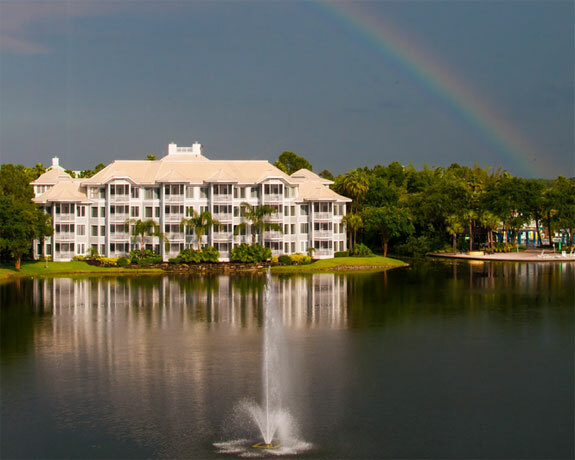 There’s a refreshingly uncrowded feel to the Marriott too, partly because the lounging areas are plentiful and partly because the resort is surrounded by natural wetlands and a very good golf course. 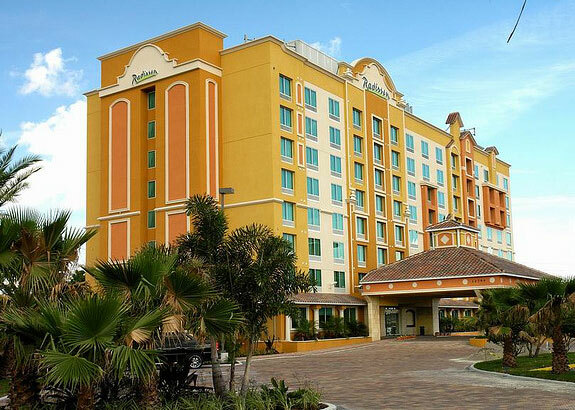 If you’ve stayed at a typical Radisson property before then you already have a pretty good idea what to expect at the Radisson Hotel Orlando-Lake Buena Vista. It is a solidly good hotel with four-star rooms and amenities. But nothing exciting either. We include it in this review because it is cheaper than the above two hotels—nightly rates for advance booking can be under $100. Better still, the Radisson charges no resort fees and provides complimentary parking, business center printing, shuttle to Disney & Universal Studios and, of course, in-room internet. For Orlando it’s a terrific value. We had a great stay at the Rosen Shingle Creek hotel but, alas, no free WiFi. It gave me the chance to try out the internet tethering capabilities of my iPhone though! Also, Space Mountain was amazing! I was too scared to try it when I was last in Orlando at age 9, so that was a highlight.